The horse pull is an additional feature offered by Kalona Sales Barn in Iowa during their Kalona Draft Horse and Carriage Sale April 16 and 17. Eight size-five horseshoes dig deep in the sand, chains clanking, muscles rippling, leather stretching tight, teamster shouting, as a team of Belgians lean into the harness at the Kalona Sales Barn horse pull in Kalona, Iowa. The annual event is part of a draft horse and carriage sale offered twice per year, once in April and again in October. The 1947 sale barn is owned and operated by third- and fourth-generations, Devin and LaVaughn Mullet and their children, Rochelle, Kyle and Alana, and offers cattle, hay, sheep, goats, hogs and alternative bird and animal sales, in addition to the draft horse and carriage sale. 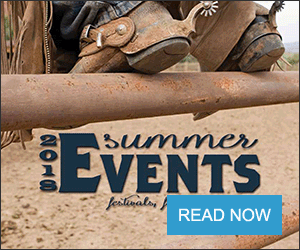 "They're very capable and well-respected," horse pull announcer Eddie Smock said. "The two generations that are involved in operating have literally grown up with the business. 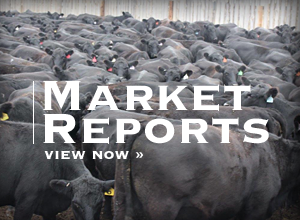 It's four generations that have been involved with Kalona livestock auction; they're very knowledgeable, have a good reputation and are good people to do business with." Buyers from Pennsylvania, Ohio, Indiana, Missouri, Wisconsin, Minnesota, Kentucky, Utah, Montana, Nebraska, South Dakota and Canada traversed poor weather conditions to attend the sale April 16-17, the Monday and Tuesday following Midwest Horse Fair — the largest three-day horse fair — only 200 miles away in Madison, Wis.
Before the pull, carriage and horse-drawn equipment can be bid on; after the pull, on Tuesday, 420 horses, primarily Belgians and Percherons of varying ages, were offered for sale. "We have a lot of pullers in our area, and we also had a couple teams from Oklahoma, Wisconsin, Missouri," Devin said. "After the equipment sale, in the evening, we have the horse pull. It kind of ties along with the draft horse sale. A lot of people come to watch it; it's just something extra we do." Horse pullers are not required to offer a horse in the sale, though some choose to showcase their team before auctioning them. "We have had teams that have pulled in it that we've sold, but a lot are just teams people take around and just pull," Devin said. "There were horses in the pull that had been bought out of our sale in the past." A registered mare and gelding Belgian team sold at the highest for $4,800 and $4,750. Several other teams ranged in winning bids from $1,150 to $4,200. The highest-selling cataloged Belgian yearling went for $4,100 and those averaged $3,435 over 27 lots. The highest-selling two-year-old Belgian gelding brought $4,200 and a fillies of the same age reached as high as $4,000. "Belgian colts, most are yearlings, are kind of our big thing the past couple sales," Devin said. Cataloged Belgians accounted for 116 horses in the sale, Percherons for 38 lots, crossbreds for 53 lots, Haflingers for eight lots. The highest-selling cataloged Percheron was a coming 2-year-old stud colt bringing $4,800. His half brother, a 2-year-old gelding, brought $3,600. A green-broke pair of registered Percheron mares yielded $4,550 each, the highest-selling Percheron team of the sale. Crossbred horses ranged in price from $2,000 for a Belgian cross stud colt to $3,000 each for a pair of 2-year-old Percheron Quarter Horse mares, and three half-sister blue roan mares of the same breeds wound up with the same price tag. The top crossbred horse, a tri-colored 2-year-old Percheron paint cross gelding, pulled $4,450. When looking for a draft horse prospect, Smock, a former horse puller from Hannibal, Mo., has a list, and he hopes a horse can help him check all the boxes. "We want a horse that is correct conformationally, a horse that is drafty built, a horse that is stout," he said. "A horse has to have a lot of heart and willingness to be a good pulling horse, but no matter how much they try, if they don't have the ability, they won't make a pulling horse. I'm looking for one who is easy to train and will stay sound when we enter the pulling competition." If you're in the market for a horse like Smock described, he suggests traveling to Kalona, Iowa, during one of the three draft and work horse sales. "Kalona (Sales Barn) is known for a quality draft horse sale. No matter if you're going to pull a horse, or show, or buy breeding stock, you sure need to start with quality," Smock said. 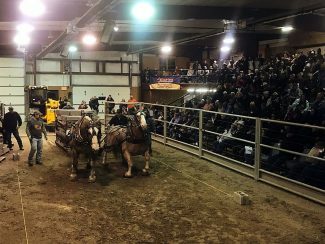 "I know of a lot of good top-pulling horses that have come from the Kalona draft horse pulling sale."